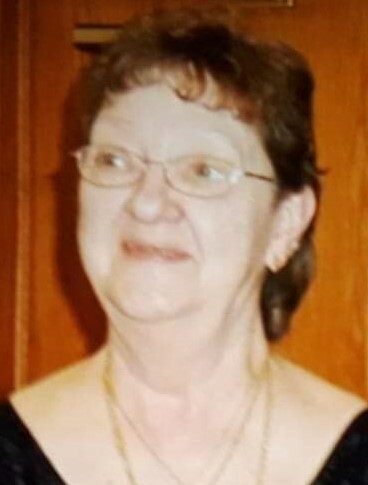 Obituary for Coral Fay (Artman) Woodin | Fleming & Billman Funeral Directors, Inc.
Coral F. Woodin, age 76, of Dorset, died Thursday morning at the Geneva Shores where she had been the past four weeks. She was born November 30, 1942 in Ashtabula, the daughter of George & Shirley (Jewell) Artman and has been an area resident all of her life. Coral was the manager of theBecker’s Market, then Alri Speedy Mart, in Dorset for many years. She was a member of the Dorset Baptist Church where she enjoyed Bible studies. Her interests also included reading, crocheting, coloring, bowling and watching her favorite TV series, “Walker, Texas Ranger”. Survivors include two sons, David R. (Beverly) Woodin of Austinburg Twp. & Glen R. Woodin of Dorset Twp. ; eight grandchildren; eight great-grandchildren; her mother, Shirley Weir of Dorset Twp. ; a sister, Carol (Lenny) DeRosa of Geneva; a half-sister, Joanne (Jim) Troeter of Coshocton, PA and a step-sister, Barbara Loefel of Ashtabula. She was preceded in death by her father, George; husband, Karl D. Woodin and two sons, Michael C. & Terry D. Woodin. Memorial services will be held Friday, 2/1/19 at 1:30 PM at the Jefferson Home of Fleming & Billman Funeral Directors and Crematory, 49 W. Jefferson St., Jefferson with Pastor Randy Brooks officiating. Visitation will be Friday from 12-1:30 PM prior to the service. The family requests no flowers and memorial contributions may be directed to the Dorset Baptist Church, P. O. Box 81, Dorset, OH 44032. Burial will be at a later date in Dorset Cemetery with her husband, Karl. The Fleming & Billman Funeral Homes are privileged to serve the Coral Woodin family. To view obituary, express condolences or light a candle, visit fleming-billman.com.